Since 2014, I’ve kept my readers informed about my battle with a very rare form of cancer, Appendiceal Carcinoma with Pseudomyxoma Peritonei (PMP). My last post on the subject shared the great news that I was in remission despite how advanced the disease was at the time of diagnosis. Well, the cancer has returned. At some point, I’ll require another surgery to remove as much of the disease as possible. Meantime, my medical team has recommended chemotherapy in the hope that it will beat back the cancer and delay the day when surgery will be necessary, by months or even years. After four rounds of chemo, my two blood cancer markers are on the decline. The chemo is working! So, I will continue with chemo treatments for as long as they are effective. Because I’ve been open about my health situation from the beginning, I’ve had a number of readers contact me for an update. So, I felt it appropriate to share my latest news with all of my readers. Others who also have PMP have contacted me after reading my posts, and as they begin their own fight against this rare disease. I’ve been willing to serve as a resource for these people, and I’m committed to continuing to be a resource because PMP is so rare and finding good information is challenging. Sharing my story gives me an opportunity to encourage you to be your own healthcare advocate. If you have a doctor who is only interested in treating symptoms rather than looking for and treating underlying causes, fire him or her. Work with doctors who will look for causes. It could save your life. I want to explain how my health situation affects my work life. Because I cannot predict what condition I’ll be in on a specific date months ahead, I am not accepting conference speaking invitations for 2016. While I’m disappointed to be off of the speaking circuit, the upside is that this will free me up to present more webinars, write more (including a new book), and serve more clients. While cancer has re-entered my life, I’ve got too much to do to give in to it. So, I’m not. My journey is not an easy one. However, it is one that I am managing. My work-life focus, throughout my ups and downs, will remain on helping charities raise more money through ethical donor-centered fundraising. I will do this through my work with clients, through teaching opportunities, through media interviews, and through my blog. The nonprofit and for-profit sectors can learn a great deal from each other. For example, there are three powerful insights from the for-profit sector about direct mail and email marketing that fundraising professionals can certainly benefit from. In a never-ending search for the latest, greatest tactics and ways to cut costs, the nonprofit sector has embraced email fundraising while frequently questioning whether direct mail is dead. So, what can the for-profit sector teach us? For both customer acquisition and retention, the for-profit sector knows that direct mail still works. That’s probably because 73 percent of consumers prefer direct mail, according to Epsilon. Furthermore, Interquest Digital Direct Mail Printing reports that direct mail delivers 30 times the response rate of email. While the numbers will be somewhat different for the nonprofit sector, or for particular organizations, the reality is that consumers (also our donors) like direct mail. That’s why they respond to it. While direct mail is not as effective as it was several decades ago, it remains a powerful fundraising tool. Now, I’m talking about high-quality, well-crafted direct mail, not something you just throw together. 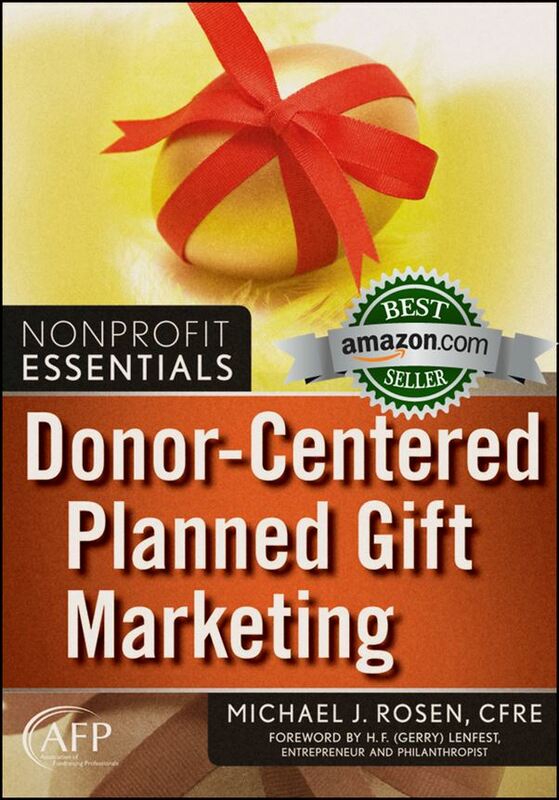 I’m talking about direct mail that is donor centered and touches the prospect’s emotions. I guarantee you that bad direct mail will produce poor results. However, a good direct mail appeal will still achieve meaningful results. It’s not just chocolate and peanut butter that go together. The marketing agency Merkle has shown, in a study for one of its pharmaceutical clients, that email can produce a greater response than direct mail. However, when direct mail and email were used together in a multi-channel marketing campaign, the result was a 118 percent lift over direct mail alone. For a wealth management client, Merkle found that it could generate a call response that was 1.5 to 3.8 times greater when using email and direct mail together rather than direct mail alone. 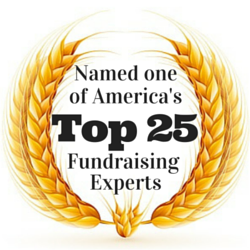 Sometimes, nonprofit organizations think of their fundraising efforts in silos. “Let’s plan our direct mail appeal. If people don’t respond, we can call them later to renew. But, we’ll need to make sure the timing doesn’t interfere with our email appeal.” Sometimes, I’ll see charities that will exclude people from the direct mail pool who are in the email pool; it’s often seen as a cost-saving tactic. The reality is that multi-channel, coordinated marketing (and, yes, fundraising) works. Some people are more direct mail responsive (whether or not you have their email address in your system). Other folks are more email responsive. Some individuals need to hear from you a couple of times before you capture their attention. For all of these reasons, multi-channel fundraising could help you get better results. By the way, it’s not just a matter of coordinating direct mail and email. You can also coordinate direct mail and the telephone, email and advertising, etc. If you’re at all like me, 2015 was a busy year for you. 2016 is likely to be more of the same. We work to meet workplace goals. We strive to properly balance our professional and personal lives. And we endeavor to broaden our professional knowledge. Unfortunately, with all of the demands placed on us and with the wealth of material available in the marketplace, it’s easy to overlook useful and interesting information. So, I thought I’d share some highlights from 2015 with you and give you a chance to pick up some information you might have missed and that you may find interesting and/or helpful. Breaking News: Big Planned Giving Myth Busted! Is There Just One Correct Way to Engage in Philanthropy? In addition to my listing of favorite LinkedIn Discussion Groups, I also announced that I created a new Group: Blog Posts for Fundraising Pros & Nonprofit Managers. The Nonprofit Sector Wins a Battle with the IRS! The US Internal Revenue Service delivered some good news to start the new year. The IRS has withdrawn its controversial proposed regulation that would have encouraged charities to acquire, record, and report the Social Security numbers of all donors who give $250 or more in any given calendar year. In a post (“Warning: The IRS Wants You to Do Something Dangerous”) last month, I outlined some of my problems with the IRS proposal, and joined with others to call on individuals and organizations to share their comments with the IRS. Nearly 38,000 official comments opposing the proposal were submitted to the IRS, according to The Chronicle of Philanthropy. Interestingly, both charities and charity regulators expressed serious concerns about the proposal. The news from the IRS is certainly good. On the surface, it’s great that the agency has withdrawn a potentially dangerous proposed regulation that could have led to identity theft, decreased philanthropy, and other problems. But, there is more good news in this story. What Helpful Books Have You Read Lately? Many of us in the nonprofit world read books to discover fresh ways to generate improved results or to find inspiration. But, with so many nonprofit management and fundraising books in the marketplace, how can you find those that will be worth your time to read? I have a solution for you. When you buy books through The Nonprofit Bookstore, you’ll get Amazon’s great pricing and, without any cost to you, a portion of your purchase will be donated to charity. You can help make this resource more meaningful by recommending any books you’ve read recently that you have found particularly helpful. You can make your recommendations in the comment section below by providing the book title and author name for any volume you think will be of value to nonprofit managers and fundraising professionals. The book(s) you recommend can be either a classic or a new title. The objective here is to build a list of worthwhile books we should all consider adding to our 2016 reading lists. You’ll have the pleasure of helping your nonprofit brothers and sisters find worthwhile reading material that can help them and their organizations. You’ll have the satisfaction of having your selected book(s) listed in the “Readers Recommend” section at The Nonprofit Bookstore where it can help even more people. So, what useful, informative, inspirational book(s) do you think folks should add to their 2016 reading lists?